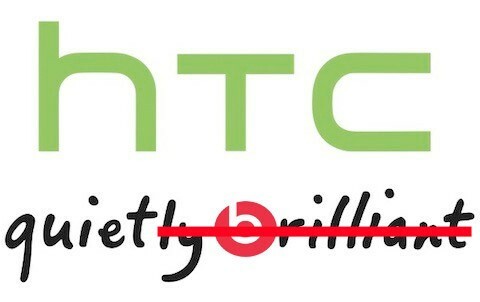 Although HTC and Beats are just shy of the one-year anniversary of their 300 million dollar partnership, it looks like the two are again growing apart. In a letter to shareholders today, it's been announced that the original owners of Beats plan to buy back 25 percent of its own shares, for a total ownership stake of 75 percent. That said, HTC will still retain nearly 25 percent of the remaining shares for itself, ensuring that it remains the largest external shareholder. As the release puts it, this new setup "provides Beats with more flexibility for global expansion while maintaining HTC's major stake and commercial exclusivity in mobile." All in all, it seems like this is more about shifting priorities given recent news like Beats' MOG acquisition, but it wouldn't make eventual breakup all that unsurprising given the partnership's mixed results. For now, you can hit up the press release for all the details. Beats increases its share ownership to 75%, lets HTC keep majority stake, 'commercial exclusivity in mobile' originally appeared on Engadget on Sat,! 21 Jul 2012 17:15:00 EDT. Please see our terms for use of feeds. The data is clear: mobile is going to be big. But it may not be fast. 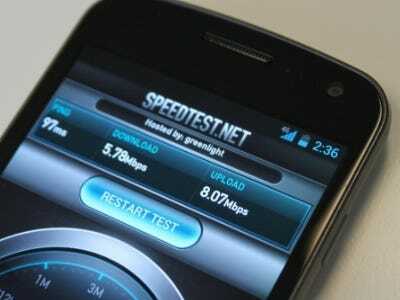 According to data collected by Akamai Technologies, which specializes in web speed acceleration for advertisers, slow load times on mobile devices could be mobile advertising's biggest obstacle. The time it takes for a mobile site to load is reminiscent of web sites in the late 1990s—and that's a big problem. 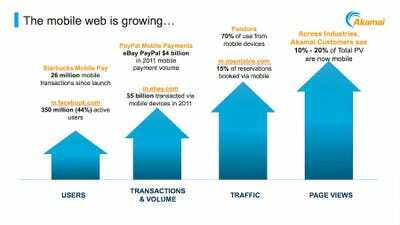 Everyone knows mobile is growing. But growth can be really fast. 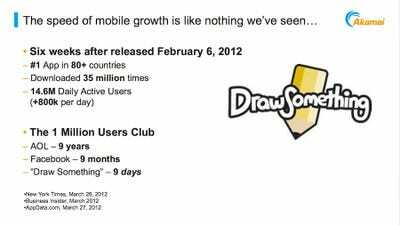 It took Draw Something nine days to gather the same number of users that AOL took nine years to get. 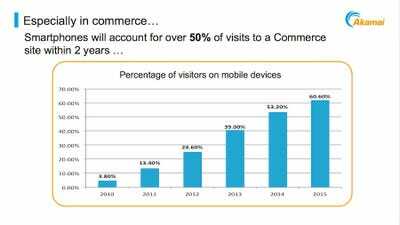 Within the next two years half of all commerce-related visits will be mobile. Can't bear to part with your favorite browser extensions, but can't stand to see them devour your system memory? Maybe you should check out Firefox 15. According to Mozilla's Hacks blog, the browser's latest beta should patch up the majority of memory leaks gushing from Firefox add-ons. Also new, is the beta's support for Opus, a free audio format partially supported by Mozilla. The firm hopes competing browsers will pick up the format as well, calling it "as good or better than basically all existing lossy codecs." The blog makes quite a case for the format, citing tests and bitrate information, going as far as giving instructions on embedding Opus players in web pages. Check out the codec of tomorrow for yourself at the source links below. Firefox 15 beta boasts support for Opus audio format, reduces add-on memory leaks originally appeared on Engadget on Sat, 21 Jul 2012 08:19:00 EDT. Please see our terms for use of feeds. Scientists have invented artificial pores as small as the ones in your cells—something unimaginable until now. These sub-nanometer synthetic pores are so tiny that they can distinguish between ions of different substances, just like a real cell. It's an amazing engineering feat. Once they tune them to detect different substances, researchers claim that this seemingly miraculous matter would be able to do truly incredible things, from "purifying water to kill tumors and diseases by regulating the substances inside of cells." The scientists used the Advanced Photon Source at Argonne National Laboratory to create the pores, gluing donut-shaped molecules—called rigid macrocycles—on top of each other using hydrogen bonding. According to one of the senior authors of the study, University of Nebraska-Lincoln Ameritas University's chemistry professor Xiao Cheng Zeng—"this nanotube can be viewed as a stack of many, many rings. 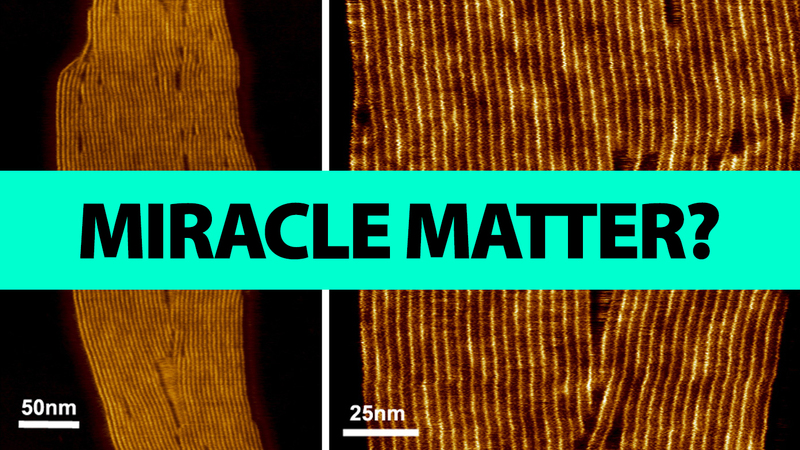 The rings come together through a process called self-assembly, and it's very precise. 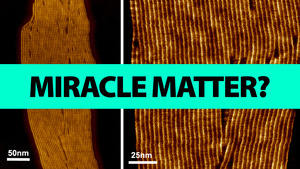 It's the first synthetic nanotube that has a very uniform diameter." 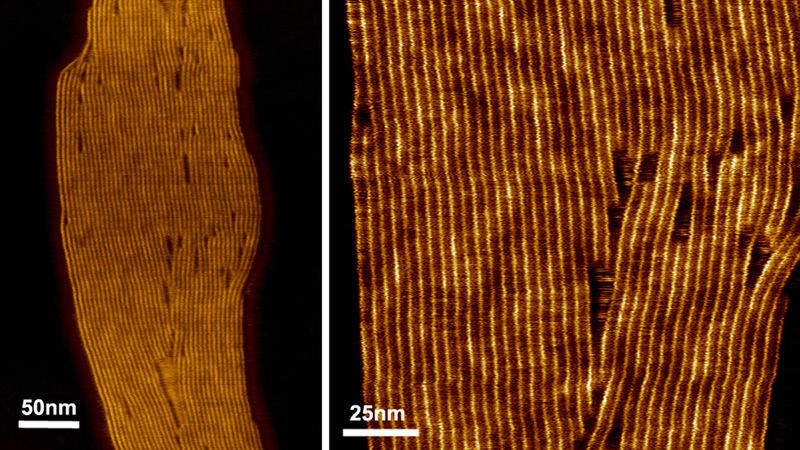 They are about 8.8 angstroms thick, just one tenth of a nanometer. They are now capable of passing potassium ions and water, but not other ions, like sodium and lithium ions. 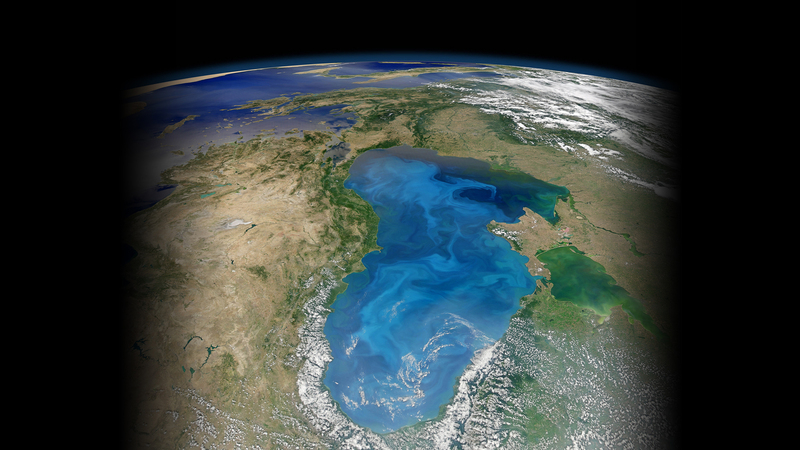 Basically, this means that you could pass salt water through a fabric made of this wonder material and make it drinkable—instantly. 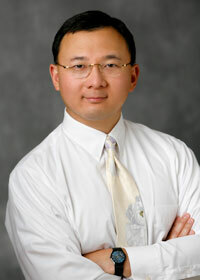 Lead researcher Dr. Bing Gong—a chemistry professor at University of Buffalo—says that "the idea for this research originated from the biological world, from our hope to mimic biological structures, and we were thrilled by the result. We have created the first quantitatively confirmed synthetic water channel. Few synthetic pores are so highly selective." Gong says that they now have to experiment with the pores' structure to find out how the materials are transported through the pores and tune it to select which substances they want to filter and which ones they want to let through. LG has announced a new series of IPS monitors, the 23- and 27-inch IPS7 series, with a mishmash of specs aimed at mobile, HD and professional users. Foregoing WQHD resolution in favor of plain jane 1920 x 1080, the panels feature a so-called Cinema Screen design with a 1.2mm (.025-inch) bezel, half-inch depth, a mobile high-definition (MHL) link, fast response times and color calibration software for professionals. If it's trying to to tap the pro market, the monitors lack some features like dual-link 2560 x 1440 resolution and 10-bit, 1.07 billion color graphics like the Dell U2711 or HP ZR2740w, for instance -- but then they could turn out to be considerably cheaper than those rivals. We'll just have to wait to find out the pricing. 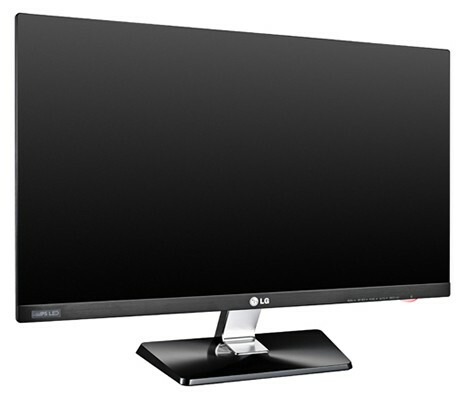 LG outs IPS7 Series monitors: 23 or 27-inch IPS, minimal bezel, MHL mobile link, 8-bit 1080P originally appeared on Engadget on Fri, 20 Jul 2012 08:08:00 ! EDT. Pl ease see our terms for use of feeds. 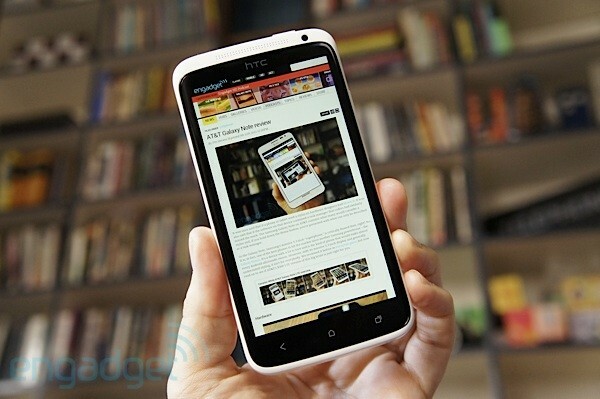 Google's Nexus 7 tablet may be receiving OnLive Universal Controller support soon. What the Jelly Bean-flavored device won't be getting, however, is a rear-facing camera. Now ASUS is offering an explanation for the omission -- and no, it isn't to prevent users from looking like a doofus when snapping photos in public. ASUS apparently faced two options for a rear-facing camera: go cheap or go for quality. The company says it decided against sticking a lower-end camera at the back of the device because it would compromise the user experience. Adding a high-quality rear camera, on the other hand, would increase costs too much, so that proposition was nixed as well. The good news is that apps such as Instagram are finding ways to make things work with just the Nexus 7's front-facing camera. In the meantime, here's a little ditty from Google that just might help put a smile on your face. 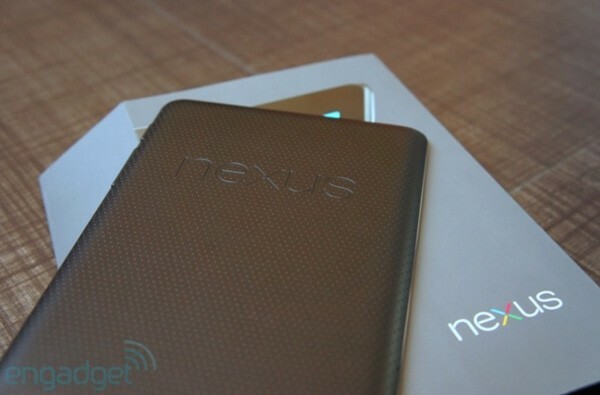 ASUS spills jelly beans on why Nexus 7 has no rear camer! 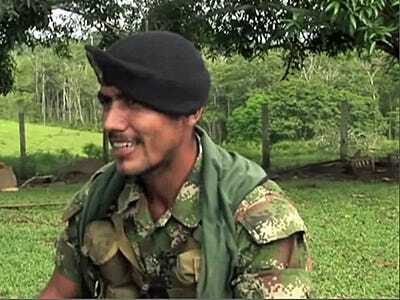 a, cites added cost originally appeared on Engadget on Fri, 20 Jul 2012 09:03:00 EDT. Please see our terms for use of feeds. 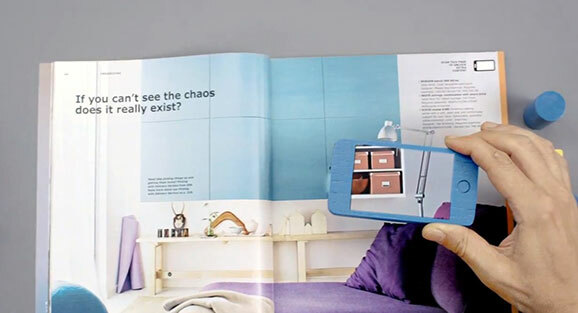 While many might reckon the days of paper-based catalogs passed with the advent of the web, Ikea's clinging onto its tome for yet another year, but will dust its latest issue with augmented reality. It looks like its 2013 catalog app will arrive with some new camera-centric features on both phones and tablets -- the brief preview video shows a pair of devices that look decidedly iPhone and iPad-esque. The app uses image recognition software from Metaio (avoiding the jarring monotones of QR codes) to identify specific pages and throw in some lightweight extra content, from cutaway views of furniture to "inspirational" video shorts. The agency behind the app has much loftier ideas for the future, including streaming live cooking shows or concerts into Ikea's imaginary rooms. Take a preview tour after the break, but sorry, no meatballs (or hotdogs) at the end. Ikea beefs up 2013 catalog with companion AR app, doesn't translate Swedish furniture names (video) originally appeared on Engadget on! Fri, 20 Jul 2012 10:24:00 EDT. Please see our terms for use of feeds. If you've had an eye on a new Business-focused Dell laptop but wanted to see the inside of one before purchasing, now you can. 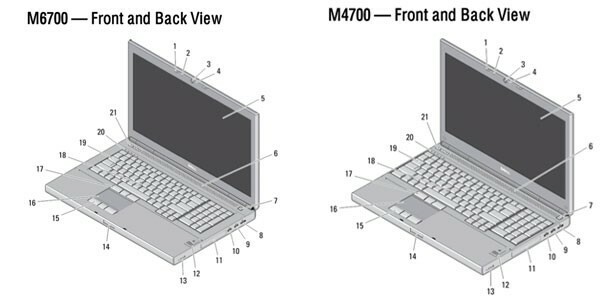 The company has (prematurely) outed documents for its rumored M4700 and M6700 portables well before they've been officially announced. The owners manual for the latter includes detailed teardown information that shows you how to disassemble the unit -- much like what we saw for the XPS 13. It's almost as if Dell knows we're watching, the naughty tease. Dell M4700, 6700 documents leak, ruins the surprise for laptop fans originally appeared on Engadget on Fri, 20 Jul 2012 10:59:00 EDT. Please see our terms for use of feeds. Qantas just upped the ante for its Australian nemeses Jetstar and Virgin in the airline tablet wars. Following an earlier trial, the transporter plans to hand out free iPads to all of its passengers -- not just the high-flyers in business-class, like with Jetstar's iPads or Virgin's Galaxy Tabs -- on every Boeing 767 aircraft in the fleet. The rollout, which starts in the last quarter of the year, will let those bored in the back seats watch an equally free 200 hours' worth of QStreaming audio and video. Don't confuse the gesture with a sudden bout of altruism on Qantas' part, however. The pound-and-a-half weight of a current iPad sheds the tremendous amount of weight that would normally be needed for a conventional in-flight entertainment system built into the headrest, which on a typical 375-seat 767 could see the iPads pay for themselves within years, if not sooner. The option will give many Aussies something to look forward to for their domestic summer vacations. In the meantime, hop past the break for a Qantas video explaining how QStreaming worked during the original trial run. Qantas to hand out free iPads to all passengers on Boeing 767s, save fuel and our sanity (video) originally appeared on Engadget on Fri, 20 Jul 2012 15:29:00 EDT. Please see our terms for use of feeds. Dell's Project Sputnik is successful enough that the company is launching another satellite, so to speak. After a strong reception for its developer-installable distribution of Ubuntu, the PC builder is now planning an edition of the XPS 13 with the Linux variant already installed. The hardware will be identical to its Windows parallel and ship with the same Precise Pangolin Ubuntu build that previously required a download. Dell incubator lead Nnamdi Orakwue is shy with The Inquirer about how much the Microsoft-free system will cost when it ships to some corners of the world in the fall, although the $999 price of a base Windows version might serve as a ballpark figure. 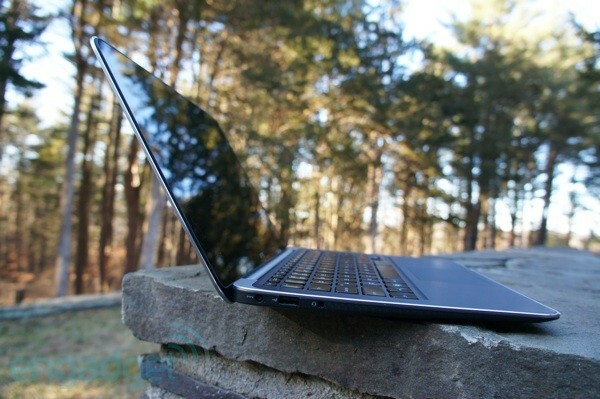 All that's for certain is that the Ultrabook should represent one of the fastest pre-assembled, open source PCs to date. Dell to ship XPS 13 with Ubuntu Linux in some areas, Precise Pangolin goes ultraportable originally appeared on Engadget on Thu, 19 Jul 2012 19:22:00 EDT. Please see our terms for use of feeds. Crowd-sourced art projects? You knew Google would get there sooner rather than later. 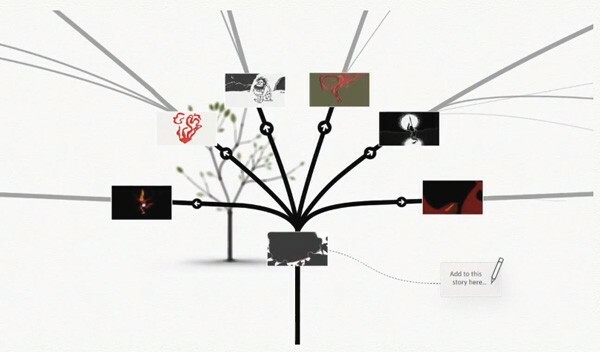 And with the cooperative backing of the UK's Tate Modern gallery, artists Chris Milk and Aaron Koblin have been able to do just that, taking the surrealist concept of "the exquisite corpse" -- an evolving word tree exercise devised by early 20th century surrealists - and transmuting it into The Exquisite Forest, an animation-based collaboration that lives on the web. The exhibit, which kicks off July 23rd and should run for about six months, is yet another of Mountain View's Chrome Experiments and encourages any aspiring designer to log-in to the dedicated portal and contribute to existing trees (read: branching visual stories) or seed one of their own. You can check out a brief video explanation of the project's inception after the break. But if this concept already has your creative juices flowing to the point of flooding, why not just hit up the source below and help water this multimedia garden. The Exquisite Forest: cr! owdsourc ed art made possible by Chrome (video) originally appeared on Engadget on Thu, 19 Jul 2012 19:44:00 EDT. Please see our terms for use of feeds. 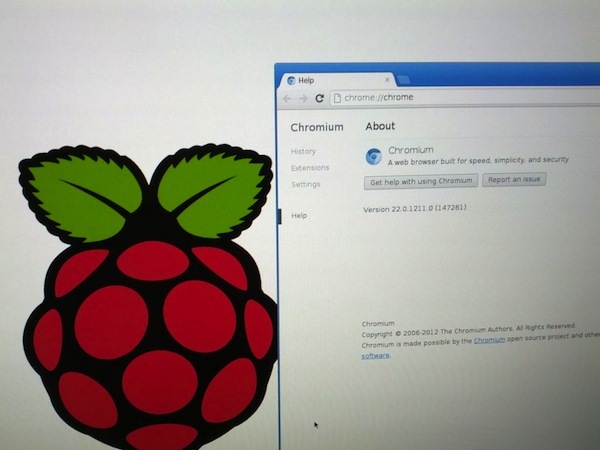 Well known ChromiumOS developer Hexxeh has been fiddling around with the Raspberry Pi since its debut and his latest experiment is a beta version of the Chromium browser, ready to run on Raspbian images. While it's not the full Chromium OS (that's still under development) it should help ease the pain of browsing the web on one of the $35 Broadcom-powered units. It still requires quite a bit of horsepower however, so overclocking your Raspberry Pi and using a fast USB stick or SD card for storage is advised, hit the source link below for more instructions on downloading and running the 35MB~ package. 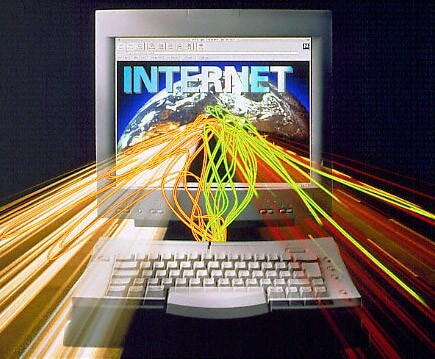 Chromium browser for Raspberry Pi beta available originally appeared on Engadget on Thu, 19 Jul 2012 23:18:00 EDT. Please see our terms for use of feeds. It looks like LG is actually going to sell that sweet 84-inch ultra-definition TV we saw at CES. With a resolution of 3,840 x 2,160 (UHDTV) it will maintain a full 1080p picture for 3D movies even with LG's FPR Cinema 3D passive glasses technology, and also includes the standard suite of Smart TV features. Of course, the launch is quite predictable, considering there's no way LG could let Korean rival Samsung rule the roost with its 75-inch ES9000 that's on the way. While we'll wait for an English language PR for all the details on the 84LM9600, native speakers can scrounge some won together and hit the source link below for more information. Update: We've checked with LG and confirmed that this LCD has a price of 25 million won ($21,925 US) for anyone preordering the 84 units that will be on sale for the first month, and it has a 2.2 channel "3D sound" system. It's only going to be available in Korea for now, so lining up outside your local big box store might be going a step or two too far, for now -- that 4K content isn't really available yet could be another reason. 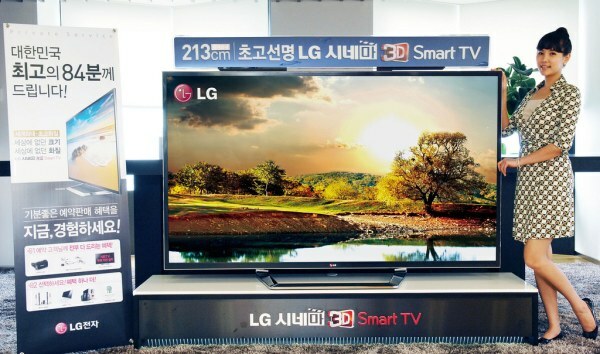 LG 84-inch 'ultra definition' 4K HDTV going on sale in limited quantities in Korea originally appeared on Engadget on Thu, 19 Jul 2012 22:21:00 EDT. Please see our terms for use of feeds. At this point, after strong hints and even patents, a Canon mirrorless camera is all but certain. The only question is what it'll look like and how it'll compete with other Micro Four Thirds and APS-C shooters like the Olympus E-M5 and Samsung's NX range. The image above may at least help to answer the first part of that question, if it isn't a masterful photoshop. It was reportedly leaked by retail sites and captured by Digicame-info, and it appears to show an unknown model called the EOS M (shown in the top left corner) -- which does indeed look like a thin and lightweight mirrorless ILC. MirrorlessRumors also notes the presence of an entirely new mount: the EF-M -- which may mean that Canon is moving away from the inbetween sensor size it used in the G1 X and possibly towards full APS-C. An official announcement is expected on July 23rd, so we'll know plenty more then. 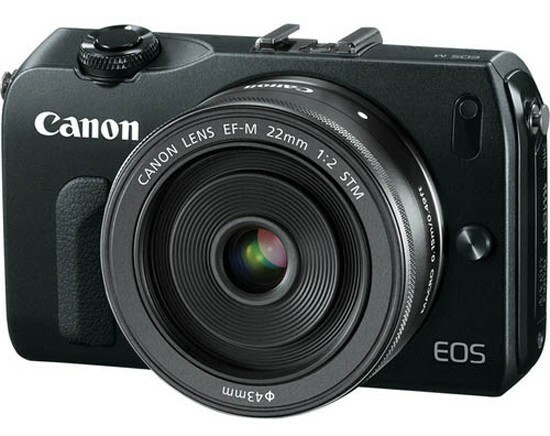 Leaked EOS M photo looks like Canon's long-awaited mirrorless camera originally appeared on Engadget on Fri, 20 Jul 2012 03:03:00 EDT. ! Please s ee our terms for use of feeds. Sure, at 300Mbps Verizon's FiOS Quantum is lightning fast -- but reports say that Comcast is prepping a new tier that's just a little faster. According to Broadband Reports sources, Comcast's Neil Smit told employees that the company would be introducing a 305Mbps downstream tier in Verizon FiOS territories "soon," but neglected to mention a strict timetable. Details regarding pricing and data caps are similarly scarce, of course. Comcast has yet to comment on the rumor, but we'll let you know if we hear anything official. Comcast reportedly prepping 305Mbps internet service, aims to put FiOS in its place originally appeared on Engadget on Fri, 20 Jul 2012 05:23:00 EDT. Please see our terms for use of feeds. HTC confirms Android 4.1 Jelly Bean for One X, One XL and One S, includes AT&T, T-Mobile and Rogers models originally appeared on Engadget on Fri, 20 Jul 2012 03:40:00 EDT. Please see our terms for use of feeds. Such is the natural order of things. First the blurrycam, then the FCC sighting (albeit the Sprint version) and if you're lucky, a final juicy leak. This is the story of the Samsung Jasper for Verizon. Details of the mid-range chin-heavy phone just showed up on Twitter, and claim the device will have a dual-core 1.5GHz Snapdragon MSM8960 processor, a mediocre 800 x 480 display and Android 4.0. The skinning looks lighter than some other Samsung attempts, and the buttons along the bottom are also a deviation from other recent big hitters. While the DNA all seems a bit familiar, it seems Verizon will finally have a version to call its own. 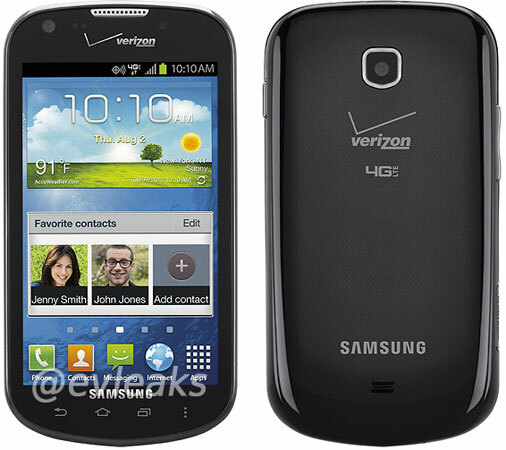 Samsung Jasper for Verizon leaks on Twitter, dual-core Snapdragon and ICS in tow originally appeared on Engadget on Fri, 20 Jul 2012 05:48:00 EDT. Please see our terms for use of feeds. A Colorado grandma was detained at a car dealership after her credit report mistakenly flagged her as a suspected Colombian narcoterrorist, reports Lyneka Little with ABC News. Sandra Cortez's name was mixed up with Sandra Cortez Quintera, a woman listed on the nation's Specially Designated Nationals list, which includes terrorists, traffickers, and other people involved in highly illegal activities. According to the Treasury department, every credit report is run through special software to see if the person is on this list. “The credit reporting agencies are making horrible matching mistakes because they’re not using identifying criteria to make sure it’s the right person," Francis said. The only advice the Treasury department offers to those mistakenly flagged is to contact the credit agency the same way you would for any other error. Getting a response is easier said than done. The Dispatch investigated 30,000 complaints filed with several credit reporting agencies and found that more than half were unable to get the agency to correct the mistake. In her case, Cortez was forced to sue TransUnion after several failed attempts to get the alert removed. It took her seven years to reach a settlement. Stories like hers are the reason the Consumer Financial Protection Bureau has decided to start policing credit reporting agencies. We first noticed the first signs that the economy was beginning to soften about three months ago. Now the evidence of a slowdown has become so overwhelming that it is difficult to avoid the conclusion that we are headed for a recession. We cite the following as evidence. Retail sales (both total and non-auto) have dropped for three consecutive months. This has happened only five times since 1967----four times in 2008, and one now. Vehicle sales have tapered off with May and June being the two weakest months of the year. Consumer confidence for both the Conference Board index and the University of Michigan Survey are at their lowest levels of 2012. On the labor front, June payroll numbers were weak once again and averaged only 75,000 in the second quarter. The latest weekly new claims for unemployment insurance jumped back up to 386,000 and the last two months have been well above the numbers seen earlier in the year. The ISM manufacturing index for June fell 3.8 points to 49.7, its first sub-50 reading in the economic recovery. The ISM non-manufacturing index for June dropped to its lowest level since January 2010. 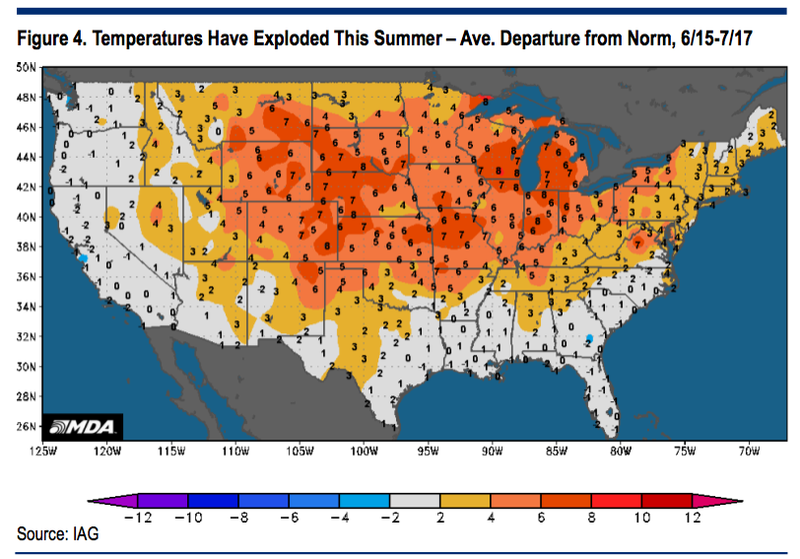 Most recently the Philadelphia Fed Survey for July was negative (below zero) for the third consecutive month. The small business confidence index declined in June to its lowest level since October and has now dropped in three of the last four months. Plans for capital spending and new hiring have dropped sharply. Despite all of the talk about a housing bottom, June existing home sales fell 5.4% to its lowest level since the fall of last year. In addition mortgage applications for home purchases have been range-bound since October. Core factory orders, while volatile on a month-to-month basis, have declined 2.6% since year-end, and the ISM numbers cited above indicate the weakness is likely to continue. The Conference Board Index of leading indicators has declined for two of the last three months and is now up only 1.4% over a year earlier, the lowest since November of 2009, when it was climbing from recessionary numbers. The ECRI Weekly Leading Index is indicating a recession is either here now or will begin in the next few months. The breadth and depth of the slowdown are greater than the growth pauses experienced in mid-2010 and mid-2011, and indicate a strong likelihood of recession ahead. In addition the foreign economies will be a drag as well. A number of European nations are already in recession and others are on the cusp. The debt, deficit and balance sheet problems of the EU's southern tier are a long way from any solution, and will not remain out of the news for long. China is coming down from a major real estate and credit boom, and is not likely to avoid a hard landing. The Shanghai Composite is in a major downtrend, declining 28% since April 2011. The view that China is immune because of their unique economic system reminds us of what people were saying about Japan in 1989. The stock market is ignoring these fundamentals as it did in early 2000 and late 2007 in the belief that the Fed can pull another rabbit out its hat. It couldn't do it in 2000 or 2007 when it had plenty of weapons at its disposal. Now there is little that the Fed can do, although it will try since it will not get any help, as Senator Schumer so aptly pointed out at Bernanke's Senate testimony. In sum, we believe that the stock market is in store for a huge disappointment. The video featured above was created with Vyclone, the filmmaking app for iPhone and iPad that launches publicly today. Vyclone is the brainchild of the British musician Joe Sumner, whose inspiration came from the hundreds of iPhones he'd notice waving in the audience, recording his performance while he played on stage. The problem with this, he thought, was that each phone only has the benefit of its own vantage point, while all around, scores of other audience members are doing the same thing, and getting a slightly different view. WIth help from the deep pockets ($2.7million deep) of Ashton Kutcher, Guy Oseary (Madonna's manager), LiveNation, ThriveCapital, and Dreamworks, Sumner rounded up a team of 13 (9 of whom are engineers) and together they've come up with Vyclone: an app that allows up to four users standing within a 100-foot radius of one another to record 60 seconds of video. Did you think Microsoft was done with Bing Maps updates after it threw a whopping 165TB of satellite imagery at virtual explorers? You've got another thing coming. The mapping crew in Redmond has thrown another 215TB of data over the fence, this time targeting its Bird's Eye views. Most of the attention is on Australia, Europe, New Zealand and Tokyo, although Microsoft has seen fit to sharpen up some of its US visuals in the process. 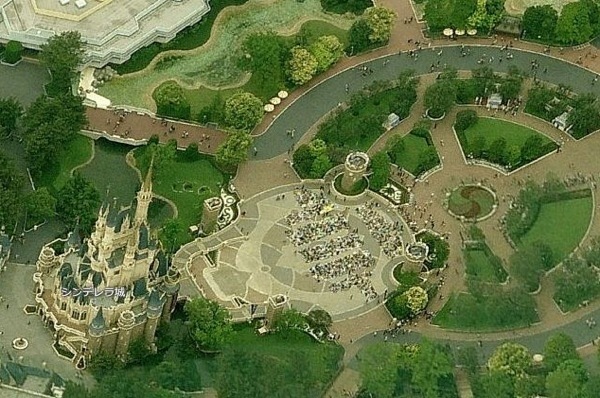 All told, there's over 88,800 square miles covered by the new and updated aerial shots -- enough to make sure that we'll never have trouble finding Cinderella Castle at Tokyo Disneyland. Bing Maps piles on 215TB of new Bird's Eye imagery, proves it's a small world after all originally appeared on Engadget on Wed, 18 Jul 2012 22:49:00 EDT. Please see our terms for use of feeds. TNT wanted to launch its new crime show Perception, in style, and we have to give it to 'em, this is pretty cool. Working with professional technological tinkerers, Breakfast, they created a 23 x 12 foot display made up of 44,000 electromagnetic dots. Imagine those ticker boards you see at train stations, jazzed up with a little modern flavor. The dots are white on one side, black on the other, and move at 15 times the speed of their typical rail-station counterparts -- giving a real-time effect. 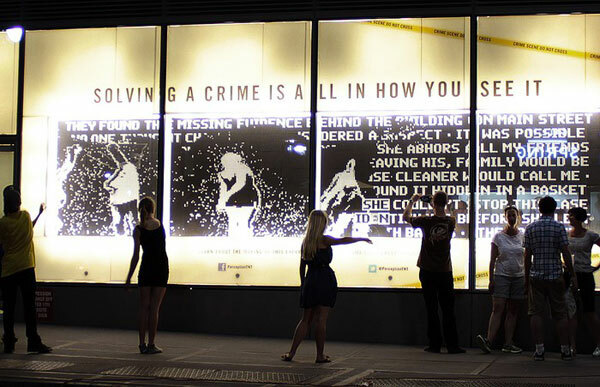 The installation is set up in Manhattan's Herald Square until July 29th, and is fully interactive. When pedestrians walk past, the board updates to reflect their movement, and this "silhouette" interacts with words and images on the screen. Extra sensory stimulation also comes from the noise the board makes, literally letting you hear your movements. If a picture paints a thousand words, then 44,000 dots in a video paints even more. Head past the break to see the beast in action, plus more details on how it was done. Breakfast's super-speed reactive electromagnetic display is 44,000 dots of promotional awesome (video) originally appeared on Engadget on Wed, 18 Jul 2012 23:15:00 EDT. Please see our terms for use of feeds. If you think Intel took awhile to roll out the Xeon E5, imagine the mindset of Itanium server operators -- they haven't had any kind of update to the IA-64 chip design since February 2010, and they're still waiting. Much to their relief, Intel just dropped a big hint that the next-generation, Poulson-based Itanium is getting close. Both a reference manual and a Product Change Notification have signaled that the new, 32-nanometer part will get the Itanium 9500 name as well as a heap of extra improvements that haven't been detailed until now. 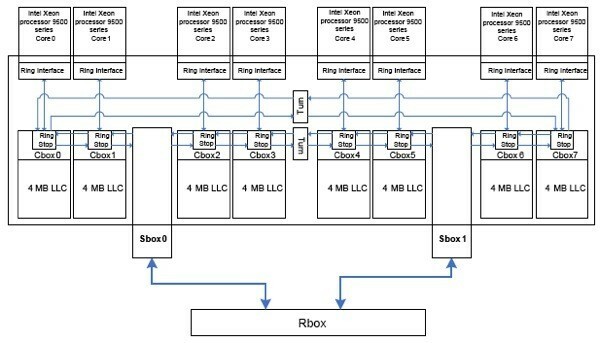 We knew of the eight processing cores, but the inadvertent revelation also confirms about a 50 percent hike in the interconnect speed and a matching increase in the cache size to 32MB. Clock speeds also start where current Tukwila-running Itaniums stop, with four processors between 1.73GHz and 2.53GHz giving the line a much-needed shot of adrenaline. Few of us end users will ever directly benefit when Poulson ships to company server farms later this year; after these increases, though, don't be shocked when the database at work is suddenly much quicker on its toes. Intel slips details of Poulson-based Itanium 9500 in advance, teases a big boost to 64-bit servers originally appeared on Engadget on Thu, 19 Jul 2012 01:33:00 EDT. Please see our terms for use of feeds. Ferrari likes to brand just about everything. That said, the two new lines of in-ear and over-ear headphones it's introducing with Logic3's help seem like more natural fits for the supercar brand than for other gadgets. The speed-loving elite will inevitably swing towards the Cavallino series' premium materials and universal microphone remote. Us plebeians have to consider the more plastic-laden Scuderia range, which still manages to pack in some Formula 1 styling along with the remote control. Prices are high at $150 to $315 for the Scuderias, or $201 to $352 for high rollers eying the Cavallinos -- but it's hard to dispute that either series is much more likely to turn up at our houses than a hybrid Enzo. 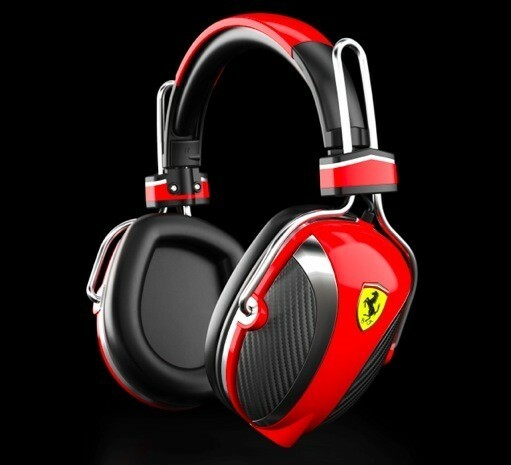 Ferrari, Logic3 team on headphones, may be closest we get to an Enzo's engine note originally appeared on Engadget on Wed, 18 Jul 2012 23:46:00 EDT. Please see our terms for use of feeds.